In a remote corner of the Indian sub-continent, a species is on the brink of extinction. There are currently little more than 500 adult gharial crocodiles living wild in the world and this species – the oldest, and arguably most intriguing, of the crocodile family – could soon be wiped out forever. But their precarious plight could be aided thanks to an audiovisual performance – Reptile Rhythms – which is set to premiere at the 2018 Peninsula Arts Contemporary Music Festival, taking place at the University of Plymouth from March 2-4, 2018. Reptile Rhythms is the brainchild of Dr Duncan Williams and will be part of the weekend’s gala concert presented in conjunction with celebrated musical group, Ensemble Bash. To create it, Dr Williams has matched the gharials’ own unusual calls with a musification of actual data generated by the crocodiles’ movement in their native habitat. Gharials pose no threat to – and are not threatened by – humans since they are unable to open their jaws to any great degree. This has made them easy prey for hunters and their numbers have dwindled drastically as a result. said Dr Williams, a former member of the ICCMR now based at the University of York. 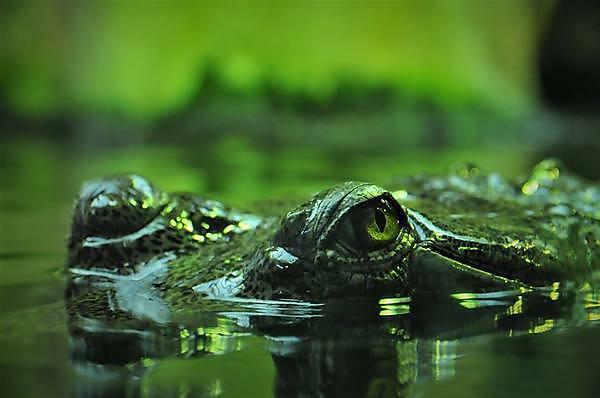 To create the sound and data for the performance, Dr Williams worked with his wife Jess, a conservation biologist who previously worked with the Gharial Conservation Alliance on a project using sensors to track the crocodiles’ movement. It enabled scientists to follow the crocodiles on the Chambal river over a whole year, gaining vital data about their movements, feeding and breeding patterns. It also enabled them to get a greater understanding of the impact humans are having on the population and how that might be reversed. MULTIVERSE is the theme of University of Plymouth Contemporary Music Festival (CMF) 2019, which celebrates the internationally renowned research combining music, engineering and the life sciences developed at the University of Plymouth’s Interdisciplinary Centre for Computer Music Research (ICCMR). MULTIVERSE proposes a weekend of musical interpretations of the quantum world.